Global climate change is one of the most serious and pressing issues facing our planet. Rather than a “silver bullet” or a single study that solves it, the study of global climate change is like a beach, with each contribution a grain of sand, gathered together as a whole to create a big picture, moving the science forward. This new groundbreaking study focuses on the adaptation and tolerance of plants and animal life to the harsh conditions brought on by climate change or global warming. Using the papers collected here, scientists can better understand global climate change, its causes, results, and, ultimately, the future of life on our planet. The first section lays out a methodology and conceptual direction of the work as a whole, covering the modeling, approaches, and the impacts studied throughout the book. 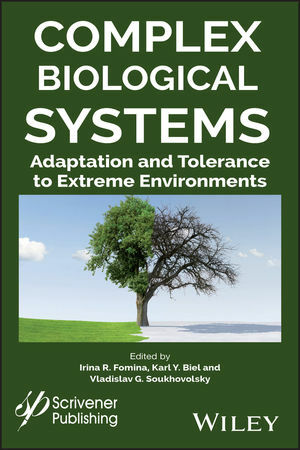 The second section focuses on certain hypotheses laid out by the authors regarding how plants and animal life can adapt and survive in extreme environments. The third section compiles a series of ecological experiments and their conclusions, and a final section is dedicated to previous scientific breakthroughs in this field and the scientists who made them. Whether for the scientist in the field, the student, or as a reference, this groundbreaking new work is a must-have. Focusing on a small part of the global climate change “beach,” this “grain of sand” is an extremely important contribution to the scientific literature and a step forward in understanding the problems and potentialities of the issue. Irina R. Fomina, PhD, is a Leading Researcher of Ecology and Physiology with the Russian Academy of Sciences, an assistant professor at the Lomonosov Moscow State University, and Vice President of Education at Biosphere Systems International Foundation in Tucson, Arizona. Dr. Fomina has done extensive research in the field of plants??? tolerance to global climate change and has published a monograph and dozens of articles and chapters in peer-reviewed journals and books. Karl Y. Biel, PhD, Dr. Sci., Professor, is a Leading Researcher of Ecology and Physiology with the Russian Academy of Sciences and President of Education at Biosphere Systems International Foundation in Tucson, Arizone. Professor Biel has over 20 years of experience in the USA conducting research at UCLA, the University of Wyoming, and Columbia University. He has participated in many international terrestrial, aquatic and marine expeditions, and, during his scientific career, he has published several books and over 300 articles in peer-reviewed journals. Vladislav G. Soukhovolsky, PhD, Dr. Sci., Professor, is a Leading Researcher at the Russian Academy of Sciences and a professor in the Department of Ecology at the Siberian Federal University in Russia. Dr. Soukhovolsky is an editorial board member of the journals, Lesovedenye (Russian Forest Science) and Conifers of Boreal Zone. During his scientific career he published more than 20 books and over 400 articles in peer-reviewed journals.